MadgeTechs Vaccine Temperature Monitoring System (VTMS) is ideal for the continuous measurement and data logging of temperature sensitive vaccines or pharmaceuticals in refrigerators, freezers, and coolers. The system includes a NIST traceable RFTCTemp2000A data logger with thermocouple, Glycol bottle and a power supply. 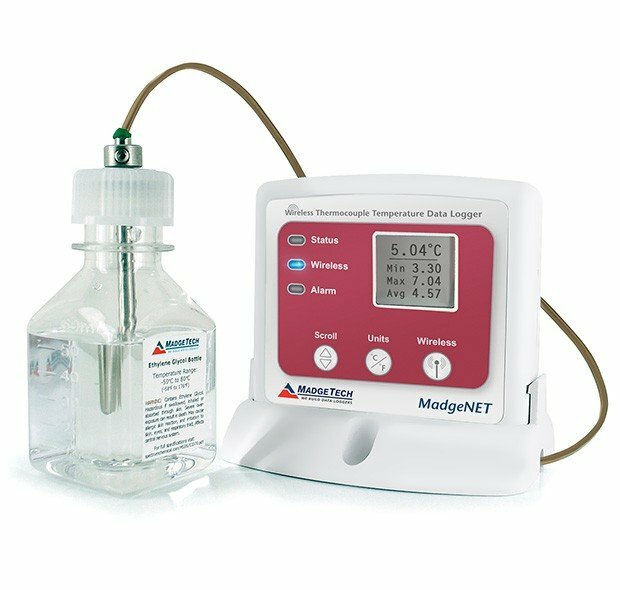 Additionally, the RFTCTemp2000A data logger in the VTMS system has a convenient LCD to ensure temperature parameters are met, in real time. The current reading, minimum, maximum and average statistics can all be obtained through the display.